With each gift card purchased for the amount of $50 or more, you will receive a voucher redeemable until March 31, 2019! These gift cards and vouchers make wonderful gifts! 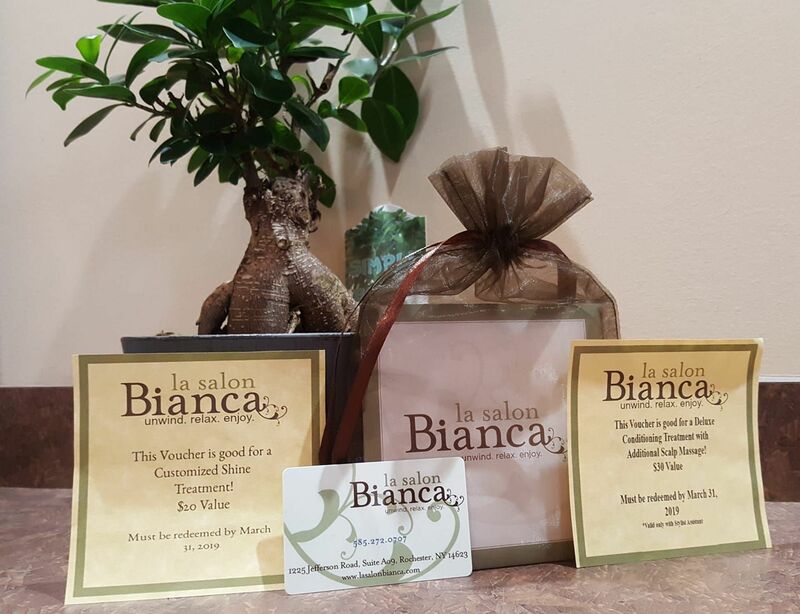 Unwind, relax, and enjoy with us at la salon Bianca.